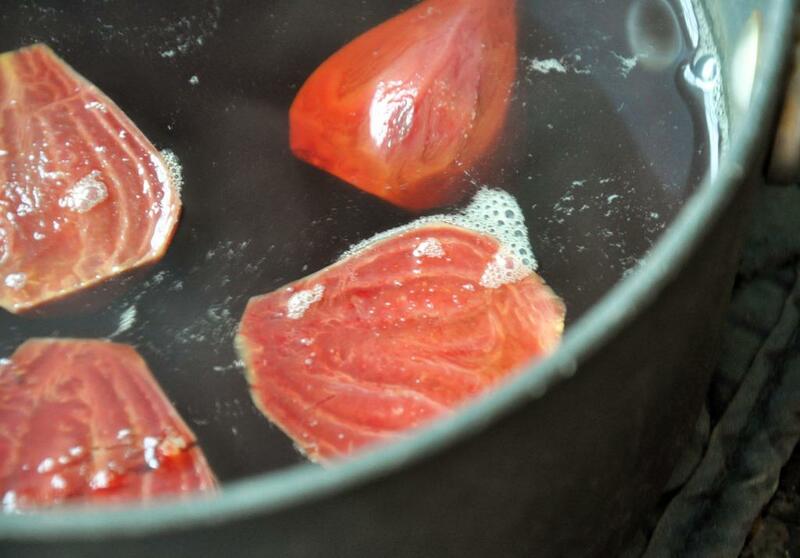 In a small pot, add beets and cover with water. Heat over medium heat and cook 20-25 minutes until very soft. 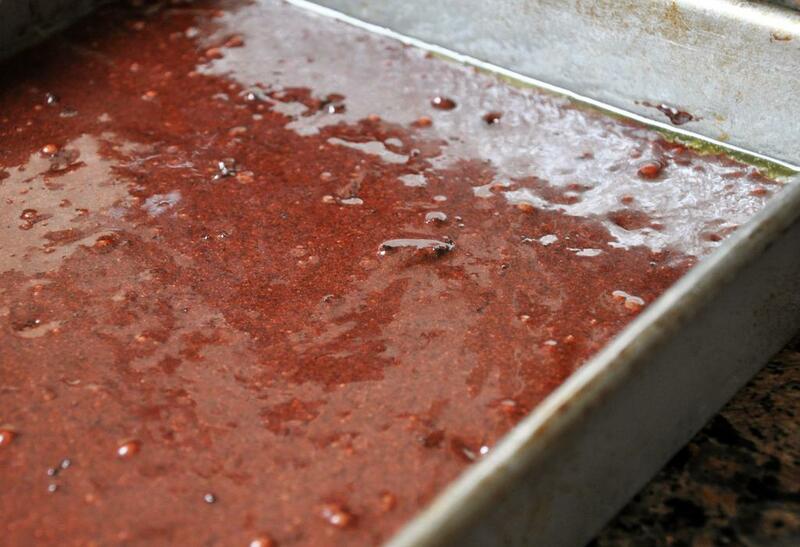 Drain, puree and set aside to cool.Using raw beets is messy, but critical to this recipe. 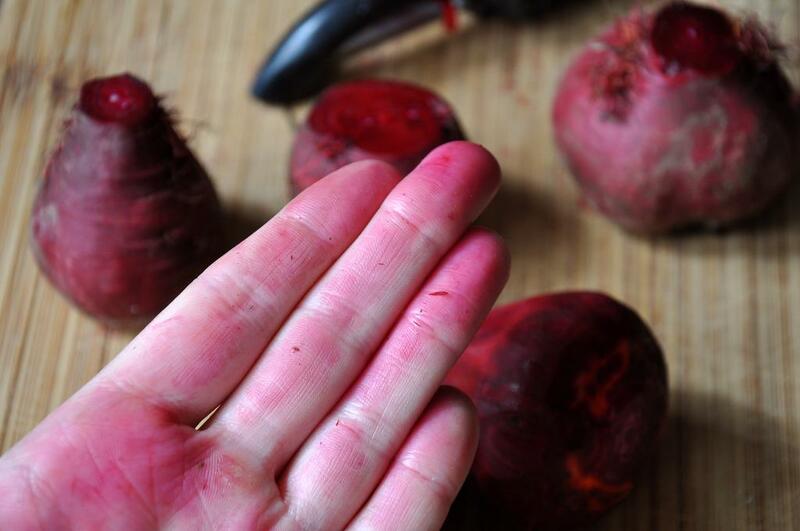 Most canned beets have corn syrup which will upset the sweet balance. In a medium pot over low heat, melt butter. Turn heat to medium-low and add both sugars. 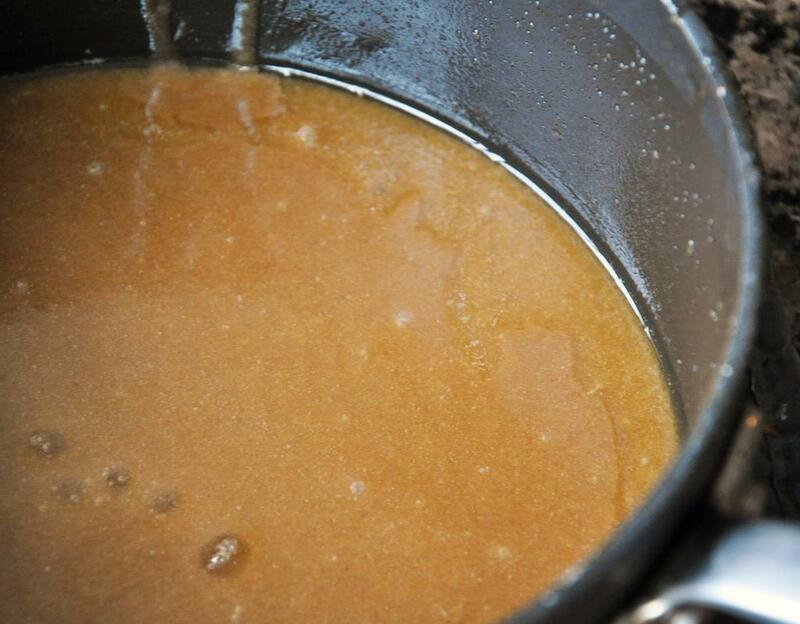 Stir until the sugar is dissolved, about 2-3 minutes and remove from heat. Beat the eggs on medium with a mixer for about 2 minutes. 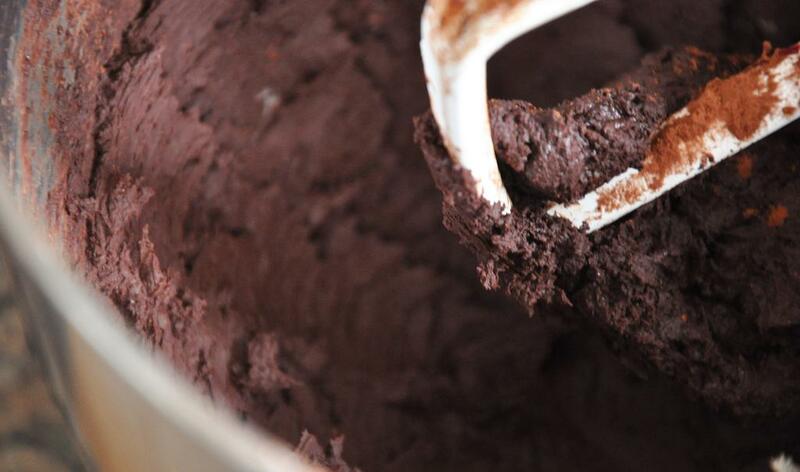 Add cocoa powder, salt, baking powder, and vanilla extract and incorporate well. Add pureed beets and butter-sugar mixture and mix well. On low speed, add flour and then chocolate chips, scraping the sides as needed. Spray a 9 x 13 pan generously with cooking spray, add batter and bake 30 minutes until knife comes out clean or with just a few crumbles. Cool in the pan before turning out on to a cooling rack. Enjoy warm! Hola! I know this is an old post, but I just wanted to share. I made these tonight and was HIGHLY SKEPTICAL that they would turn out/be delicious. I seem to have bad luck with food blogger recipes in general. 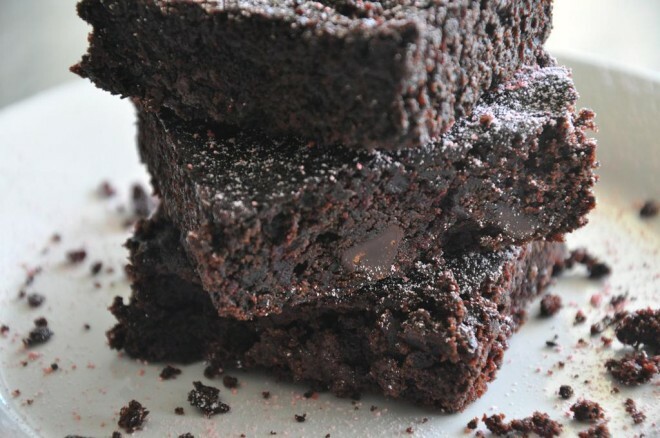 But these brownies are wonderful! A great way to use up CSA beets. Their texture is very rich and moist, and you can cut them cleanly with a knife, and it doesn’t get gummed up! Thanks for sharing the recipe.